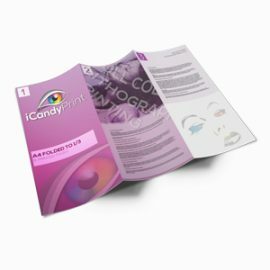 A4 folded to A5 gives you an A5 leaflet with 4 printed pages. Front back and 2 inside pages. 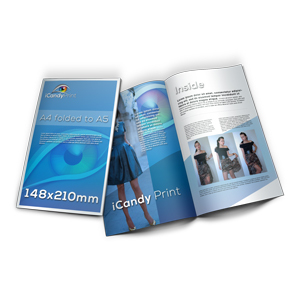 Available in 70GSM 135GSM 170GSM, 250GSM Gloss and silk options. More options available if required please call us or email. Not all Paper weights have all the finishing options, for example 70GSM and 135GSM are gloss only.